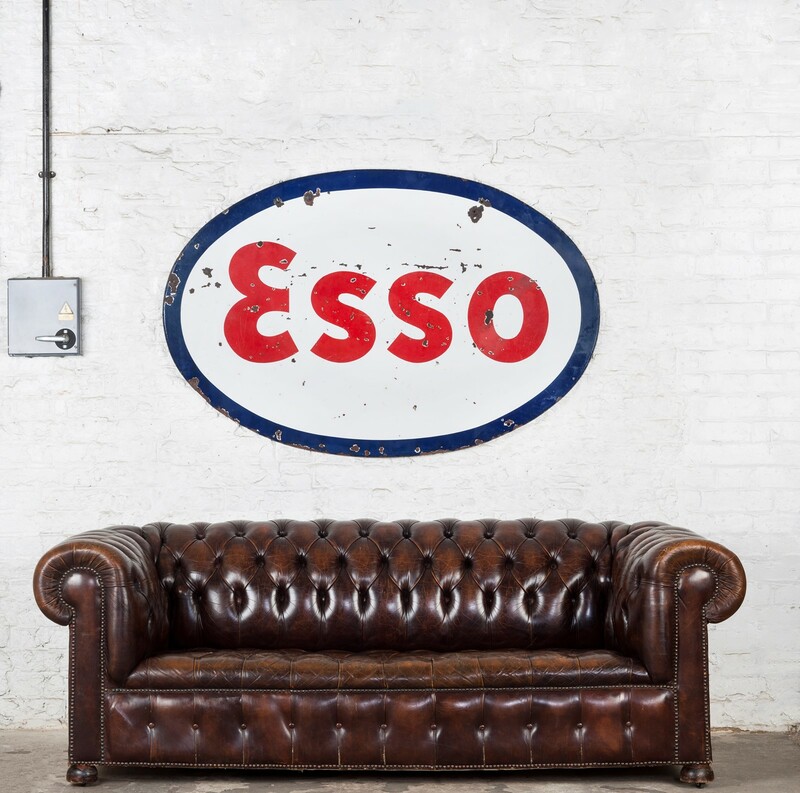 When it comes to statement pieces of automobilia this large, oval Esso enamel sign has to be about as good as it gets. Measuring in at 1.5m wide it's a fantastic size and the oval shape helps it stand out from standard rectangular signage. In my opinion the condition is near perfect too - the red and blue has darkened down slightly and there are patches of enamel loss scattered across the sign, softening the otherwise vibrant colours and adding age and character to the piece. 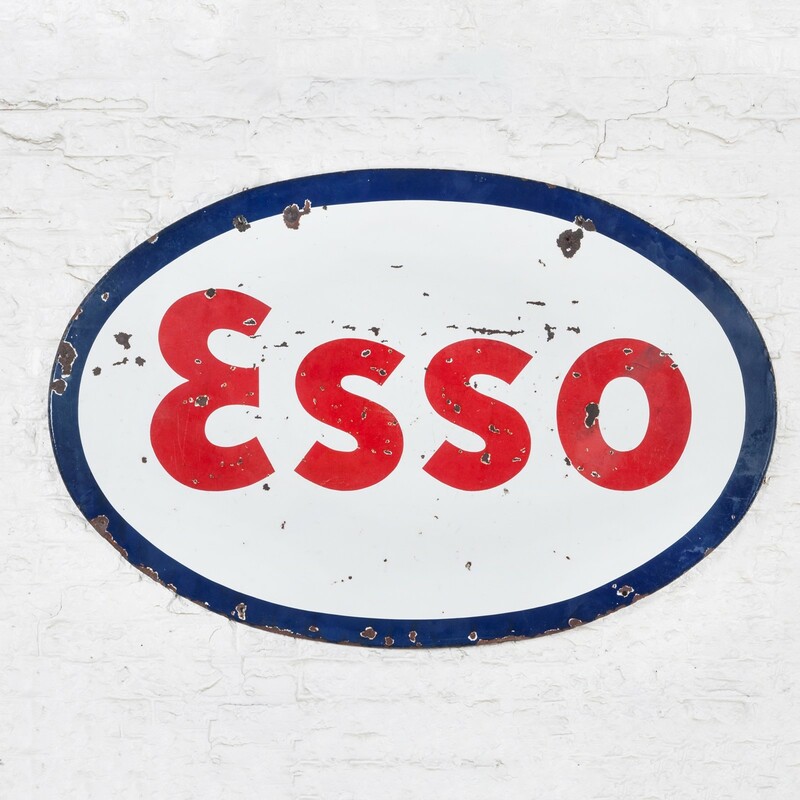 Esso is an acronym for Eastern States Standard Oil and was used from 1932, this variant of the Esso logo was put into use in 1934 and this sign probably dates from the late 1930s/'40s and could be from the UK or America. The sign is, as you'd expect, excellent quality and has a good weight to it, but can be hung easily using the original mounting holes - a real rarity in this size, the sign would make for the perfect piece of man-cave/garage/bar decor, but would look just as good as the statement piece in a home setting. Overall the sign measures 1.5m wide x 99cm high.